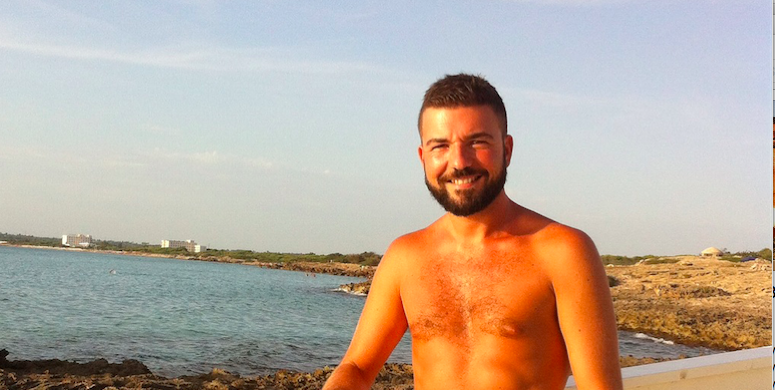 Sergio Scardia (aka Gios) is a bearded, scruffy, happy chap, who loves discovering the world. He is deeply in love with his country, Italy; with the beautiful region where he comes from, Puglia, the “heel of the boot”; with his family, and his good friends, wherever in the world they are! He loves the finest things in life: a beautiful sunset over the sea, spending time on the beach, great food, good wine and a few beers. Gios has lived in a few places of the world so far (Los Angeles, London, Madrid, Milan …) and is always eager to get to know more of this small world. So when, at the end of 2014 he happened to lose his job in London as a digital marketer, Gios decided to start doing full time what he enjoys the most: travelling around the world and to tell it all in his brand new blog, The Scruffy Italian Traveller. He’s also a selfie addict: most of his pics are shameless half-naked ones. (Editor’s note: We’re sure you will not mind!) Follow him on Instagram and Twitter to see what he is up to these days.